The Tarot has always been shrouded in mystery, with images and symbols often eluding interpretation. Now you can unlock the Arcana to study the basics and beyond! 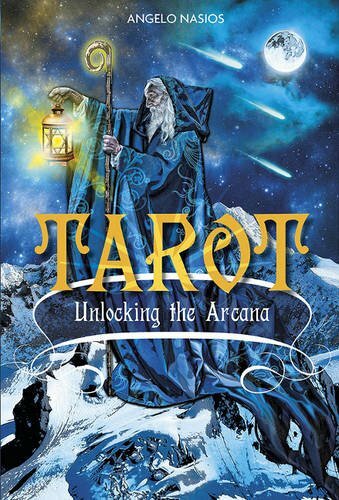 Gain understanding regarding symbolism and how the Tarot works to read reversals, set the mood for readings, and to explore your spiritual quest. Discover your relationship with the seven deadly sins and healthy virtues, determine and weigh your options, and examine dream interpretations. Consider your path through different layers of understanding, including astrological influences, numerology, mythological connections, philosophical relations, and evaluate Court card psychological dimensions. Work with powerful, self-reflective spreads unique to this book and review sample readings for major events broadcasted in the news and media. Learn fundamental history, debunk old-time myths, and discover the religious views on divination and the counterargument to its biblical objection. There is much to learn when you unlock the Arcana. Here’s the key.